Football isn’t just a sport and at times the players playing the game have taken it ahead in the form of art. Over the years, the football world has seen many players who have impressed everyone from the football fans and the critics with their impeccable and Lionel Messi is certainly one of them. Messi didn’t only create some unbreakable records to his name over the past decade but eluded everyone with the magic of his football skills in the process. 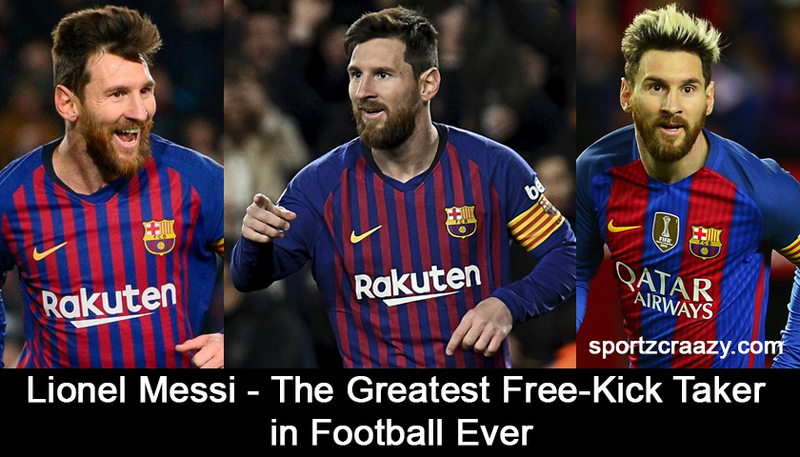 Quite recently, Lionel Messi has been voted as the best Free kick taker ever in a poll led by one of the online sports weeklies SPORTBible and their readers have selected Messi over other names like Beckham, Juninho Pernambucano and Ronaldinho. It all came in the backdrop of Barcelona’s recent win against the team of Espanyol where the Barca team was trailing by 4-2 even after being 2-0 up in the first half. It was right then when Messi stepped on for the team and scored a brilliant free kick goal for his team in the process. 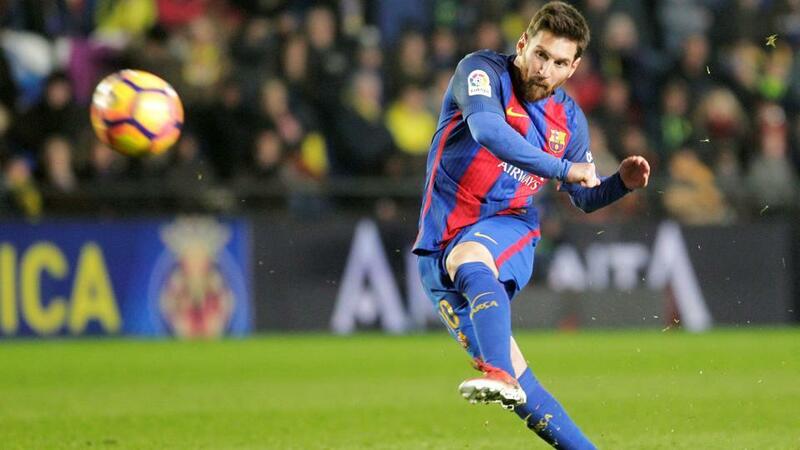 On the records, it was his 47th free kick in his career and right when the newsweekly put the pool on for it readers to select the best free kick taker ever, Messi won the battle with 42% votes in his favor. David Beckham, who once has been prompted as stunned everyone with his stylish free kicks during his career with Manchester United and Real Madrid, was been voted second with 26% votes to his name. On the other side, the other players like Juninho and Ronaldinho took the other spots with 23% and 9% votes to their name respectively. You simply don’t have to think much when you are talking about a player like Messi. 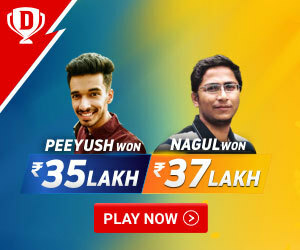 He isn’t just a footballer, but a magician who simply carves the ball on the field with all the skills and technique and beat the defenders at will at any point of the match. It doesn’t matter if it’s about taking the free kicks, getting through the set pieces or simply scoring on his own, Messi does it all with great perfection. Not many people are aware about the fact but Messi had 12 free kick goals under his name in the year 2018 and that is quite a record in its own sense. Well if we want to know how he does it, we must look into his training routine and skills that he test on a daily basis in the field. Messi generally brings few plastic dolls in use to practice all those free kicks in the training sessions and he places them as a barrier between him and the goal .On the other side, the angle of his leg is around 50 degrees when he attempts a free kick and he further puts his whole boot on ground before hitting the ball. This further gives him all the control and stability that he wasn’t in his free kick and that’s where the magic starts coming into reality. He then goes ahead with arching his shoulder and chest in order to bring his whole body in a perfect position to hit the ball, which ultimately makes the wholesome effort more accurate. 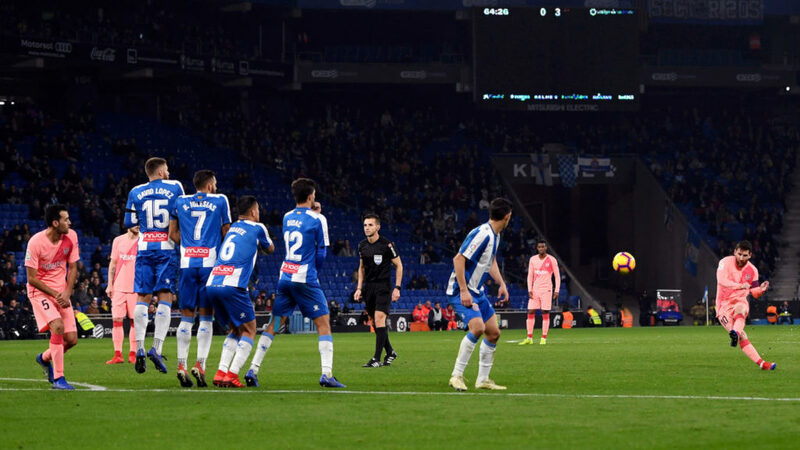 On the other side, Messi himself has tried and tested several other techniques and styles of taking the free kicks and he always keeps them changing in order to let the opponent goalkeepers guessing during the match. As per his recent statement given to a sports channel, he stated that “I generally try to hit the ball above the players wall most of the time but I still tries to mix it up every now and then in order to let the goalkeeper stay confused about my next shot”. I think we all now know why this player is being quoted as the “ Best in the world” !